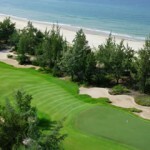 This Golf Coast Vietnam Grand Slam Tour includes opportunities to play all 4 signature courses in Vietnam’s best golf destination and take in the beauty, culture, food, and history of Vietnam’s central coast in 4 uniquely crafted excurions. Email: inquire@golfasian.com or fill out our contact form. 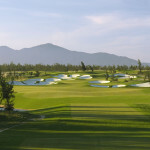 A four-night/five-day stay with rounds at Montgomerie Links, BRG Da Nang Golf Resort and Laguna Lang Co Golf Club costs US $795 per person when traveling with a group of four. There is a single supplement of US $370 per person and a US $40 supplement per round for golf at weekends. 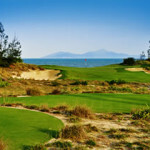 The package — including transfers, green fees and caddie fees — is available until March 31, and includes accommodation at the 5-star Pullman Danang Beach Resort. Laguna Lang Co Golf Club, designed by six-time major champion Sir Nick Faldo, has combined with the resort’s on-site hotel, Angsana Lang Co, to offer a two-night package with one round of golf for two people for VND 8,400,00 (approx. US $395) plus taxes on weekdays and VND 10,800,000 (approx. US $508) plus taxes at weekends. The offer is open until December 19. Email: reservations-langco@angsana.com or call +84 54 3695 800. BRG Da Nang Golf Resort, designed by Greg Norman and rated the top course in Vietnam in 2012, and its adjacent sister property, The Ocean Villas, is offering accommodation in two- or three-bedroom pool villas with golf, breakfasts and caddie fees. The cost for a two-bedroom pool villa — accommodating up to four people — with golf for two players is VND 8,135,000/night (approx. US $382) plus taxes, or VND 10,475,000/night (approx. 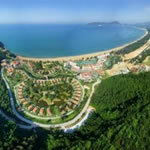 US $492) plus taxes for a three-bedroom villa — accommodating up to six people — with golf for three players. Book by visiting our contact form.